If there's one pop star out there who just radiates self-assurance, it's the songstress behind "All About That Base." 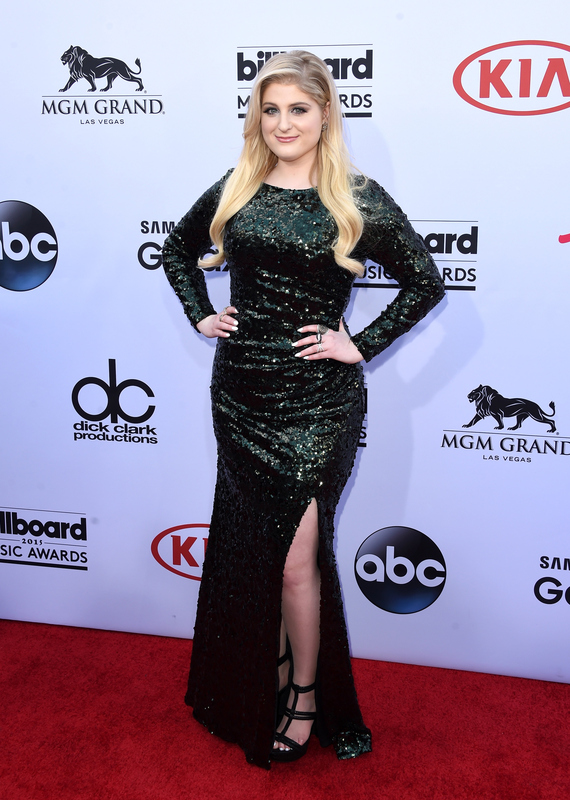 Singer Meghan Trainor's confidence doesn't just come out of nowhere, though — just like the rest of us, she has to work at it, she told Allure. Her trick to combatting her insecurities is incredibly simple and totally doable for everyone: She builds herself up by talking to herself out loud. "I like to say things out loud to myself. If I say out loud, 'Damn, I look good' or 'I was having a good hair day that day,' that really helps me," Trainor told the beauty magazine's website. "If I hear it out loud, it mentally helps me believe it." Trainor herself is no stranger to the insecurities that creep up when we're feeling vulnerable. "I struggle with body confidence every day, so does everyone. I'm getting better at it as I continue to grow in my career," she told The Huffington Post. Talking to yourself may sound silly, but honestly, positive things you say to yourself out loud, otherwise known as "self-talk," can really change the negative things you think to yourself in your head. That little voice inside of us that tells us we're not living up to some imaginary beauty standard can be pretty cruel, so why not fight back with words? Trainor is really on to something. In fact, The Frisky's Claire Hannum wrote an article about how self-affirmations have worked for her. Although they don't always work, saying nice things and giving yourself a pep talk can make a difference. If you're new to the concept of self-talk, Hannum has listed out 10 things you should know about it and how to make sure positive self-talk is most effective! Although Trainor has faced heat before for not being inclusive of all body types in her encouragement to love your body, I think she's a great role model for her willingness to share her personal story. It's not that curves are the "best" body type — she's just sharing her journey to accept that's what her body type is, along with so many others. Trainor will be able to spread her message even further as the face of FullBeauty's #OwnYourCurves campaign, because if anyone can inspire us to embrace our bodies (no matter the type), it's her.